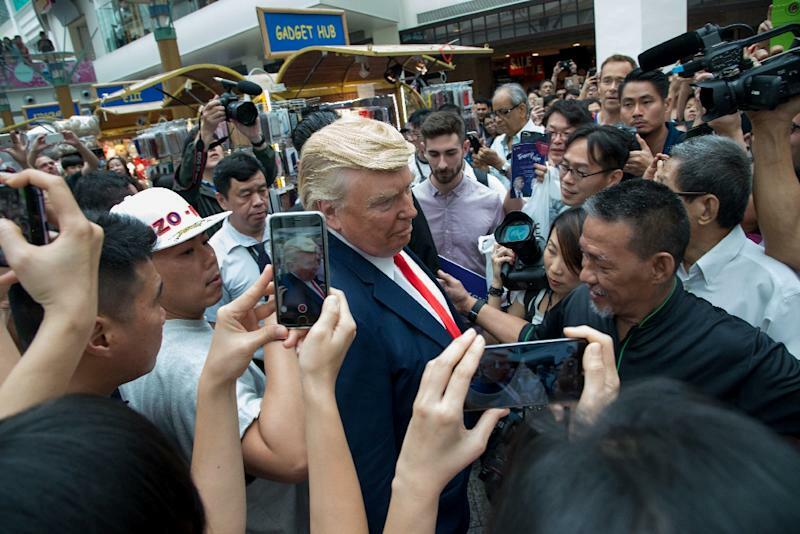 Singapore (AFP) - While access to the historic summit between US President Donald Trump and North Korean leader Kim Jong Un will be tightly restricted, hundreds of Singaporeans got the next best thing on Saturday when two lookalikes showed up at a downtown mall. "Thank you for all the donations you have been making to North Korea, well, me. I really really appreciate it, because we are really cash-strapped," Howard X said as dozens lined up for their turn with him. 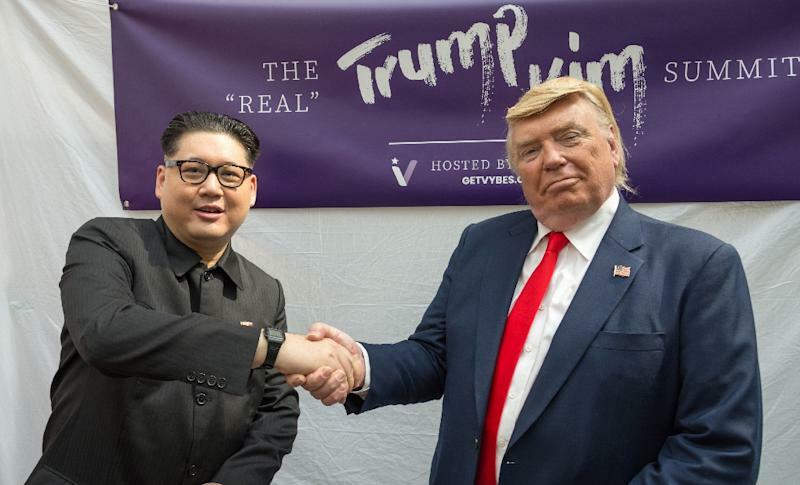 Chen Ziyang, 28, who was queueing for a picture, said the impersonators had "almost 99 percent resemblance to the real Kim and Trump". On Friday, Howard X said he was questioned for two hours by an immigration officer when he arrived at the city-state's Changi Airport ahead of the real summit on Tuesday. 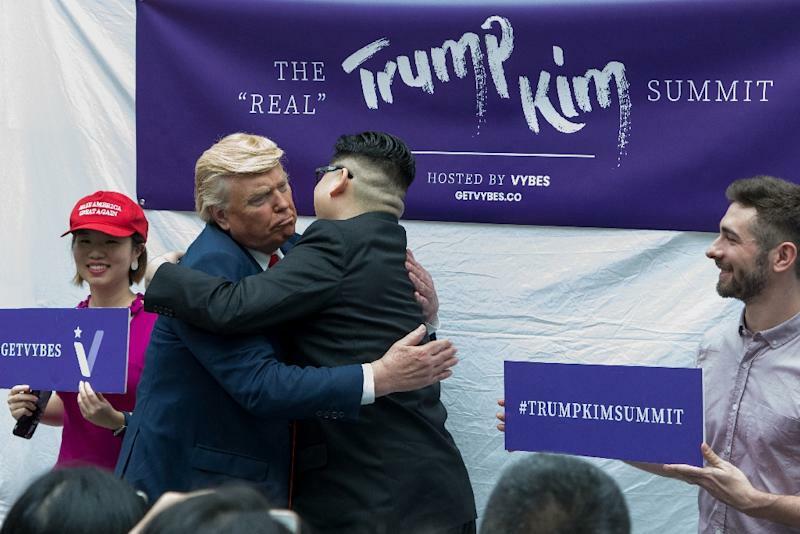 When he previously appeared at the Pyeongchang Winter Olympics in South Korea with the same Donald Trump lookalike, he was escorted out by security after waving and dancing in front of North Korea's cheerleaders.